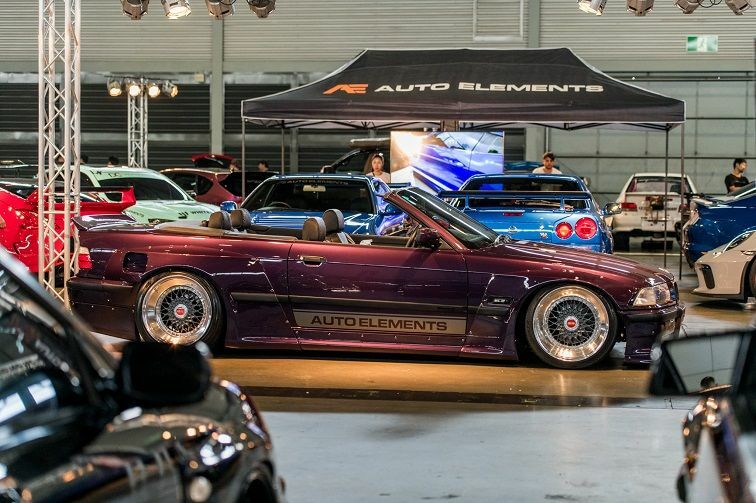 Hot Import Nights is an Automotive Lifestyle festival which centres on cars, but incorporates much more. The 21year old show originating in the USA had a great second running in Sydney with a bigger venue and more sights and sounds packed in. It was good to hear Michael Munar; founder of Hot Import Nights reflect on how the car culture is evolving and we are starting to see greater diversity in builds & also higher quality. 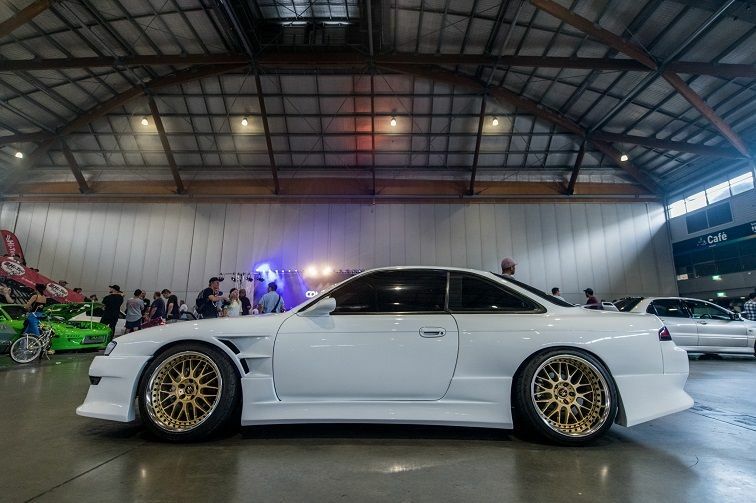 This year, along with the cars, we saw Miss HIN ‘18 being crowned, street dance battles, a 3 on 3 basketball competition, RC drift cars, sneaker meet and import models; what better place to go and find the cars of Bendix for December. 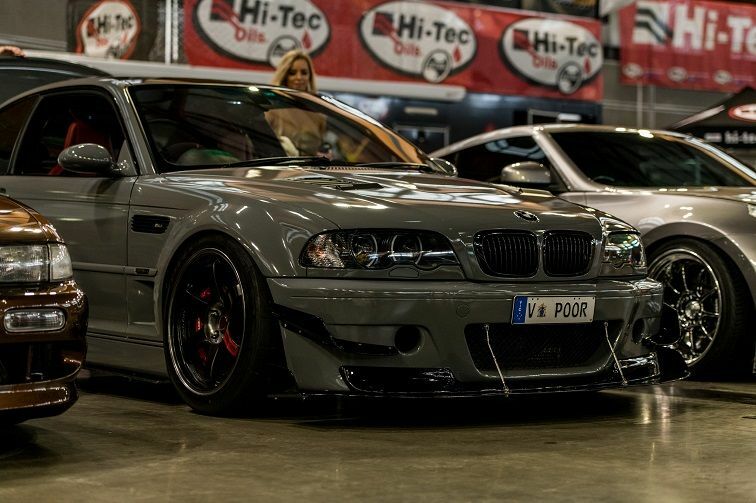 This newly wrapped E46 in Avery Dennison dark gloss grey has a nice and aggressive look thanks to plenty of custom body work & inspiration borrowed from the two limited production E46s – the GTR & the Coupe Sport Leichtbau (CSL). The customised OEM front bar has been finished off with a Status Gruppe front lip & customised lower lip. Running back from the quad xenon headlights you’ll find an OEM GTR styled bonnet with dry carbon vents added by Top Stage, which sits above the GTR style front guards and canards from Aero Image Garage. Down the side you’ll find AGT Styling carbon side skirt extensions which run into a GTR Style rear bar sitting on top of an AeroPerformance diffuser, and topped off with a CSL ducktail bootlid & custom roof wing. The car sits on 18” Volk TE37s wrapped in Nitto NT01 Tyres with Bilstein PSS10 coilovers & Turner MotorSport adjustable camber tops & rear arms. Brakes have also been upgraded with a Big Brake Kit – 6 piston 380mm in the front and 4 piston 345mm in the rear to help Jimmy with a bit more stopping power during track activity. The subframe has been reinforced, TMS Swaybars, a Function Autowerks boot brace & Mason Engineering strut brace have also been added to stiffen up the car. 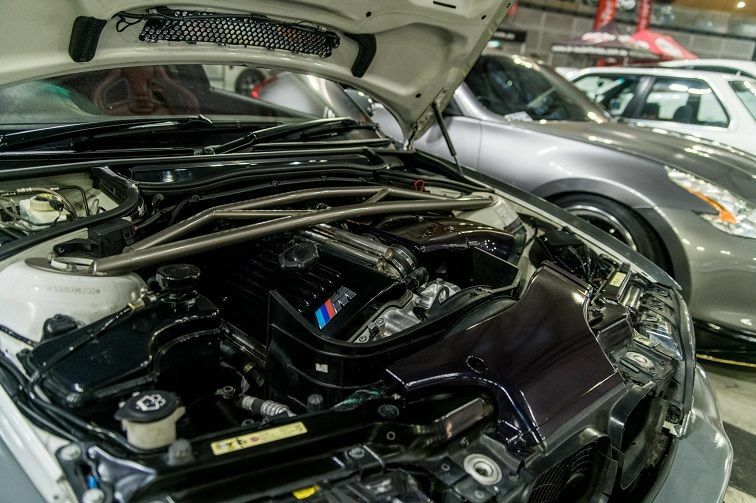 A little bit of weight reduction has also taken place with a CSL carbon fibre intake, SuperSprint catless race exhaust with lightweight race muffler & CCC Motorsport Lightweight flywheel & clutch. The interior is also pretty lush with Macht Shnell billet floor mounted Recaro Sportster CS seats retrimmed in Imola red Nappa leather to match the interior styling, an Alcantara flat base steering wheel, Awron vent gauge, & RTD V4 centre locking shifter. This is all finished off with a half cage & fire extinguisher to make it a track-spec luxury machine. 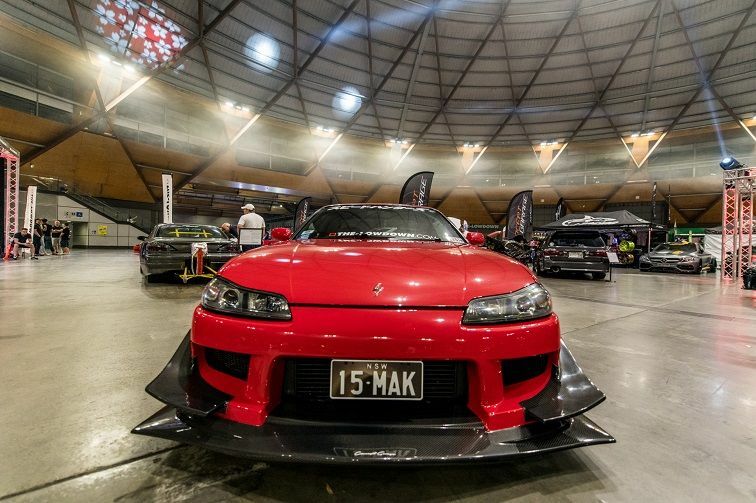 One of the cleanest S15s in the country, there has been countless hours poured into Michael’s 15MAK. The car has been widebodied with a mix of Garage Mak pieces with front & rear fenders, front bumper, front splitter, side skirts & canards. This is all set off in Ferrari Rosso Corsa paint; the same shade that you’ll find the F40 in. At the rear, you’ll find an Origin 3D GT Carbon wing sitting above a JSAI Aero rear diffuser. The 18” AME Tracer TM-02 wheels match the canards nicely, and they’re tucked under the guards thanks to the Fortune Auto 510 Series coilovers with Swift Spring upgrades and a combination of Parts Shop Max, SPL Parts, Cusco & Nismo goodies for arms, braces & bushings. Michael has gone with 6 piston front & 4 piston rear brakes. 15MAK still runs on a SR20DET with Stock Internals & T28BB Turbo which runs through a custom 3” exhaust with Magnaflow catalytic converter & resonator, Turbosmart Blow-Off Valve, finished off with an Apexi control valve giving Michael the ability to select between loud & quiet modes. 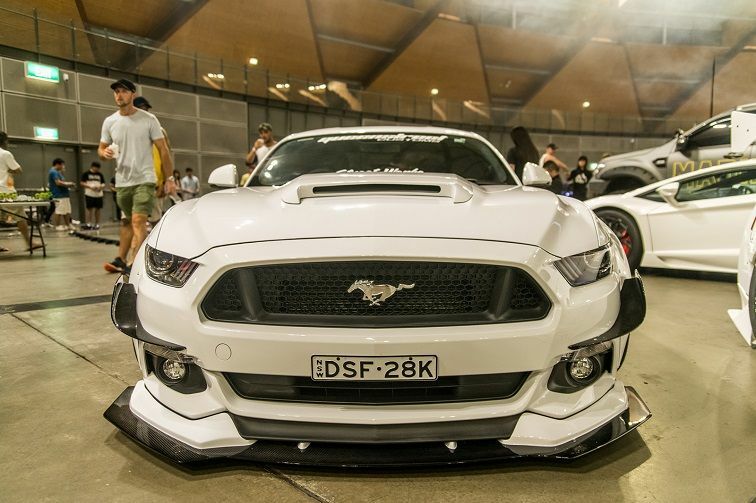 Terry and the Street Works Team certainly draw some attention in their widebodied Ford Mustang sporting the Alpha X S550 body kit from Alpha Male Performance which adds a front spoiler with carbon fibre splitter, carbon fibre front canards, over fenders, side skirts with carbon fibre splitters, rear bumper Side Splitters with carbon fibre blades, a rear diffuser & 3 piece ducktail. Thanks to an Air Lift airbag suspension kit there is some serious tuck under the over fenders with a set of RSV Forged 3 piece wheels with 24k Dubai gold on the dish wrapped in Nitto tyres. Perhaps this Celica is a cat, or maybe because it’s gone through so many changes that James has plated it 9LIVES. One thing is certain – it does deserve a second, and maybe third look. The late 70s/early 80s charm of the body has been retained with little modification. 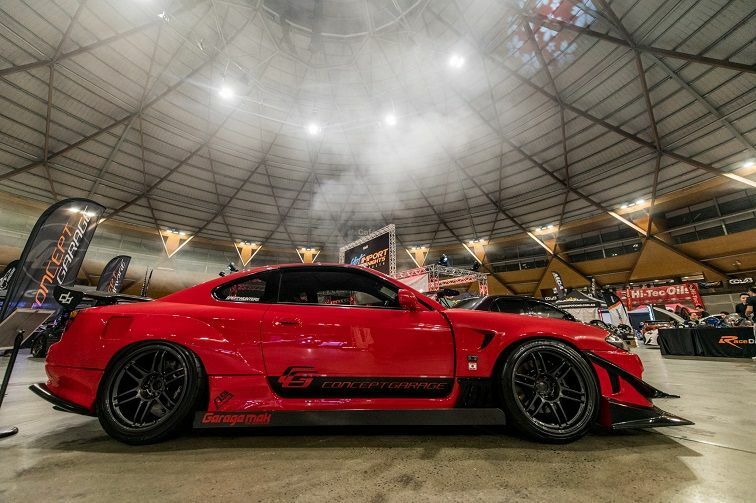 The majority of the suspension mods have been taken care of by Techno Toy Tuning from the U.S.A. with coilovers, control arms, knuckles, tie rods and roll centre adjusters, combined with Whiteline sway bars. The real work has taken place under the hood as James has managed to squeeze a 2JZ-GE JZA80 Supra motor in there along with triple Weber 45 DCOE Carburetors on a custom intake manifold with 1 ¾” side blast pipes, and a Fenix S13 radiator. 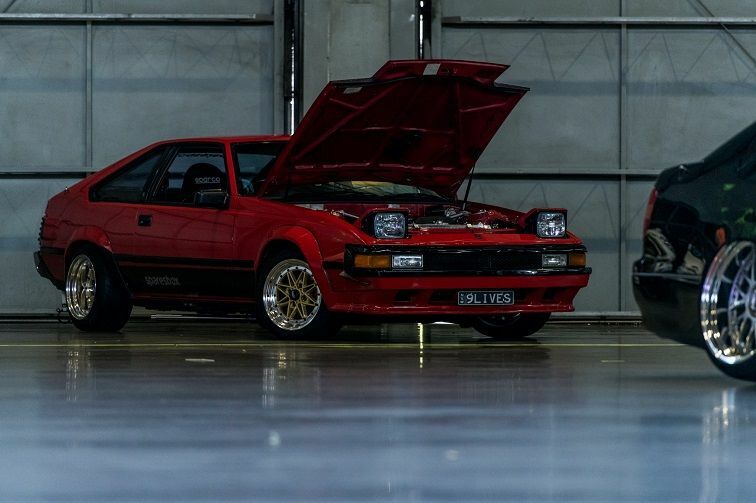 The running gear on this Celica Supra is also an impressive feat with a V160 GETRAG gearbox, a Munro Racing 6 puck clutch and Toyota Racing Development 1.5 way LSD. These guys were in good company, having only finished the car the night before Hot Import Nights, and starting to tune it on the drive over. 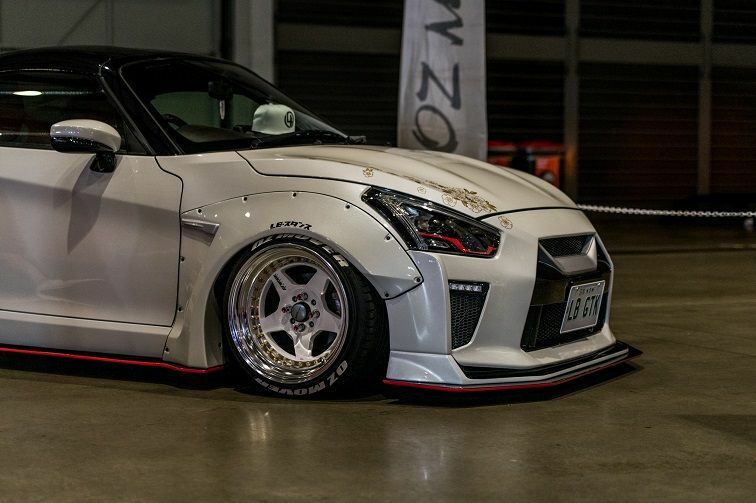 The car looks immaculate in the Nissan Pearl White paint with an Origin Labo Stylish kit, 30mm JSAI widebody front guards in BN Style and 50mm BN Sports widebody rear guards. Inside there is a Work 6 point roll cage, Recaro seats all around with SR3s in the front and custom trimmed in the rear, and a Nardi steering wheel. The real magic happens under the bonnet with an SR20DET running HKS 264 cams, Tomei cam gears, valve springs & head gasket , and ARP headstuds. The GT2871 Turbo is by Garrett, and everything is managed with a Link ECU. A custom stainless 3 ½” exhaust brings the noise. Under the car you’ll find a GKTech solid subframe which holds an RB25 gearbox, Ogura twin plate clutch & KAAZ 2 way LSD. HSD provide the coilovers and get the car sitting nicely on the Work VSXX Wheel. Kei-cars are almost exclusively sold in Japan. The translation is literally “light automobile” and are the Japanese legal category for the smallest and most limited power, highway-legal motor vehicles. It’s not often that you’ll see one of these driving the streets. Even more rare is to see one decked out like this; the first of its kind in Australia. 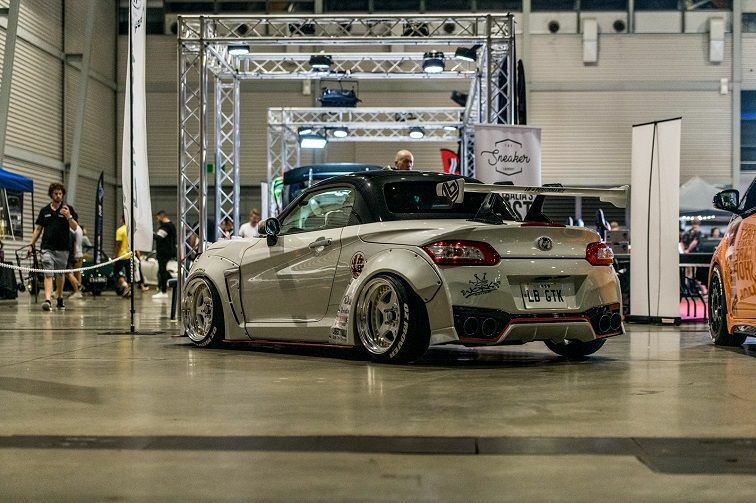 It has been fitted with a Liberty Walk Daihatsu Copen GT-K kit which transforms the car to look like a widebodied Nissan GTR, complete with GT Wing and quad tip mufflers. The Work Meister CR01 3 piece rims complete the look, matching very nicely with the decals. Steven’s E36 has been kitted out with a Pandem Rocket Bunny Aero kit, painted in BMW Daytona Violet, and dropped to the ground with AIRBFT struts in an Airlift management system. 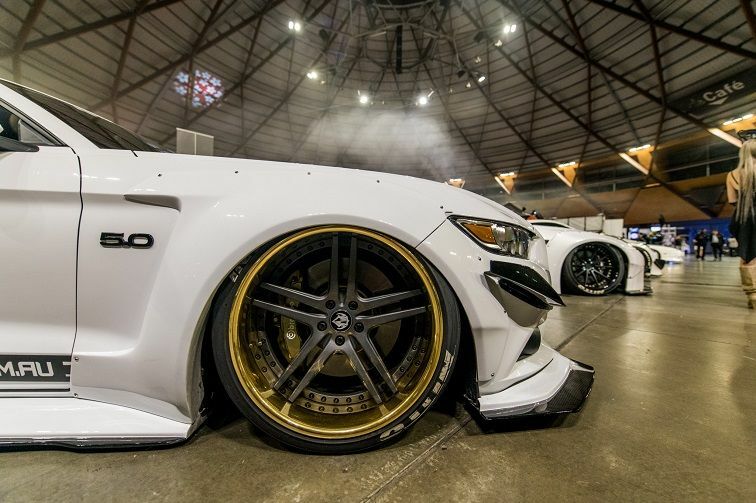 The 18” BBS RS 16” to 18” Triple Step Slant wheels complete the look. The interior is soon to be redone, with M3 seats and a few other touches. An engine swap is also planned in the future as well.